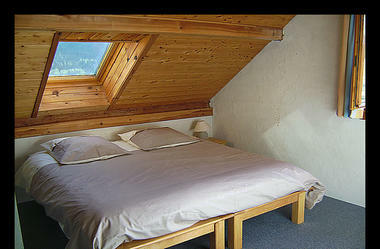 Located at the top of Les Vigneaux, the “Carlines" gite offers a magnificent panorama of the surrounding summits. Calm, comfort and quality cuisine. The gite is rated 3 equivalent “stars” from Gites de France. 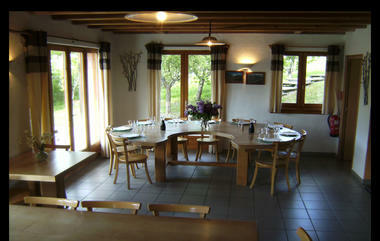 The gite is open all year round and has 20 places in 7 rooms of 2 to 6 places. Our options are B&B, half-board or full board with a picnic lunch. 4 rooms are en-suite and the other 3 share a bathroom. Since our acquisition of the gite in 2008, we endeavour to serve quality meals made with fresh and local produce. Friendly atmosphere. Our south facing terrace with garden furniture in the summer, our small TV room, equipment storage and drying room are at your disposal to ensure your stay with us is as pleasant as possible. 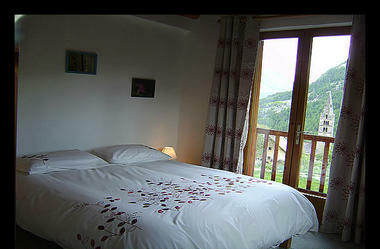 We supply quilt covers and towels for free for stays of 2 nights or more. The gite is ideally situated at the entrance to the Vallouise valley, 4kms from l’ Argentiere-la-Bessee (gate of the Ecrins National Park). Half board (pp): 45 to 49 €. There is no review about Les Carlines, be the first to leave one ! Environment / Access : Towards the church and the communal bread oven, continue, the gite is signposted.